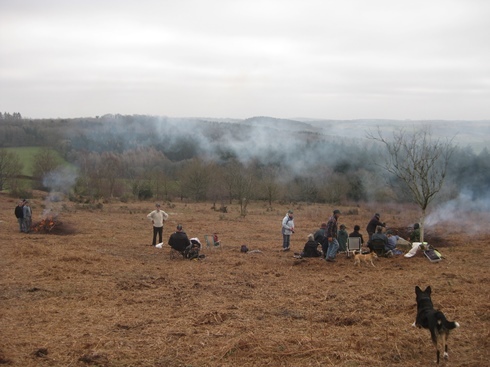 Staunton Meend is an area of heathland where the bracken and birch are regularly controlled to provide an open aspect and heather is re-growing. We were asked to try and pull the small birch up by the roots - phew! - not much chance of that! Birch is a particularly invasive plant and it's seeds can survuve in the ground for 50 years apparently. All sorts of ways have been tried to stop the birch from re-growing but it looks like a regular cut would be the only deterrent. 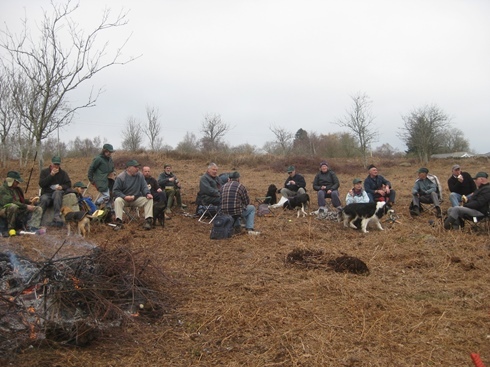 At this time of year, the heathland is covered in the dead bracken but that gives us a chance to remove and burn the birch. No! - he's not a troll! 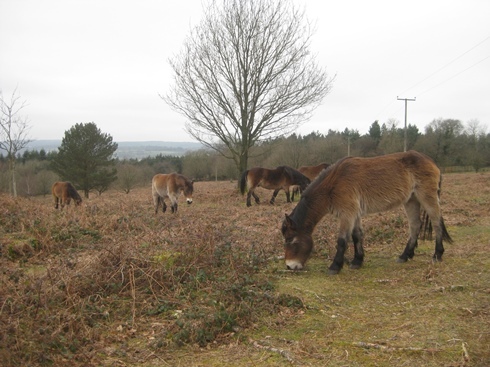 Some of the seven Exmoor ponies which have been on the site for a while. Exmoor ponies are brilliant at conservation grazing. 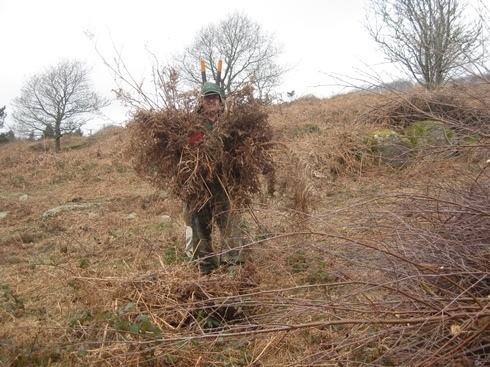 Very hardy -with an ability to thrive in all sorts of habitats from high moorland to bogs. They are selective grazers with great teeth, and whilst they like the sweet young grass, they will also tackle gorse, purple moor grass, soft rush brambles and thistles with gusto; whilst trampling bracken and opening up the sward with their small sharp feet.